Chris founded igloo Regeneration in 2001 with the belief that value is created from sustainable approaches to regeneration. Through his founding purpose ‘to do well by doing good for people, place and planet’, Chris has led igloo to deliver some of the most recognised impact-driven schemes in the UK. Chris believes that there are a growing number of communities that share igloo's values who are in need of development support. He set up igloo Community Builders to support community organisations to realise their ambitions and have a positive impact on people's lives. Working closely with Chris, Kym co-leads igloo Community Builders (iCB). She believes building trust is key to delivering integrated and successful projects. Since joining igloo in 2013 she has delivered a number of award winning community-led developments such as Marklake Court, Somerleyton Road, Joseph Lancaster and Tonic. She also recently won the British Property Federations Tomorrow’s Leaders Award for Community Engagement for her work with the Leathermarket Community Benefit Society. 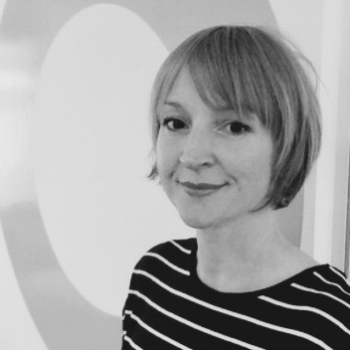 Lowri has over 18 years’ experience in the cultural and voluntary sectors in the North East. Lowri is passionate about working with communities and young people to ensure their involvement in regeneration projects in their neighbourhoods. She is working with the Siglion team in Sunderland, creating opportunities for involvement and connecting Siglion’s developments with the cultural life of the city. Matthew is a chartered accountant with extensive industry experience, and has been providing financial services to the property sector for over 10 years. Matt has provided business planning advice on the long term financial model to Leathermarket CBS. He previously worked for Equity Solutions and Partners Limited, a business involved in private/public sector property joint ventures. Ashley is a Development Manager who specialises in the delivery of both regeneration projects and community led developments. He is also a member of the igloo Community Builders (iCB) team, providing development expertise to communities to create real change. Ashley has worked on Joseph Lancaster. Neil has worked across a number of igloo joint ventures since 2013 when he helped create the highly successful Trent Basin Residential Regeneration scheme for Blueprint in Nottingham. Currently Neil is working with Siglion on the Shaping Sunderland project (a partnership with Sunderland City Council and local stakeholder) and Joseph Lancaster - the community-led Housing Scheme for Leathermarket CBS. James is a Construction Project Manager with almost 20 years’ experience in construction delivery and project management in commercial, heritage and charity sectors. He has been involved in delivering challenging and iconic projects in London and throughout the UK, including Somerleyton Road, The Shard, BBC Broadcasting House, Park Crescent and a Let Estate renovation programme for the National Trust.